Archives of Eaton Bray News for November 2008. This article was published in November 2008. Please see Latest News for more recent information. The Lions started strongly, playing up the slope and with a bitter wind blowing across the pitch. After five minutes George Oliver put the Lions ahead and for the rest of the first half the attack and midfield of Dax Roe, Jack Quigley, Jack Nevitt and Oliver dominated. In defence Freddie Mines and Tom Barbato kept the back safe and when goalie Toby Higgs needed to do something he was always in control. At half time the Lions were 1-0 up. After bringing on Charlie Giblin and Karl Shrowder at half time the Lions came close on many occasions and after 12 minutes Shrowder scored the Lions second and 7 minutes later Shrowder scored again to give the Lions a comfortable 3-0 win. The Lions played some good passing football and moved forward strongly when in possession and defended well when needed. Team: Roe, Quigley, Nevitt, Oliver, Barbato, Mines, Higgs, Giblin, Shrowder. Lions endured bitter conditions to halve their previous losing record against the Magpies. The home team had netted a stunning 14 times in that last encounter so this weekend's 7-0 defeat reflected some progress in the Lions performance. Lions began the opening half in earnest, but a sequence of difficult balls combined with slick conditions underfoot had the boys 3 goals down by the break. Nonetheless, keeper Dan kept his momentum and exhibited some quickfire saves, while bracing defence work from Tom, Adam and Aarin put paid to most of Maulden's attacking drives. MoM Ben displayed characteristic grit to harry the Magpies' strikers and played a vital role in safeguarding a scoreline which might have plunged still further against the visitors. A strong midfield, comprising Charlie, Will J, Mason and Chris showed mobility moving forwards as well as in retreat, while Sean made a succession of threatening runs to fire in a handful of shots, slicing wide by the narrowest of margins. Rotating front men Aaron G and Alex contributed their usual determination to keep the Maulden defenders on their guard throughout, but ultimately Lions were outgunned by the determined and consistent play of their opponents. Our president welcomed the members and after the business meeting we welcomed our guest speaker. Jennie Moody MBE who founded Luton Women's Aid a charity that offers a refuge for abused women and their children. Jennie is a retired social worker who came into contact with abused women during her professional life, and after retirement started a campaigned to set up a refuge for women living in Luton. Women of all ages and from all walks of life come to the refuge. The youngest that has been helped was 16 years old and the oldest 83. They may be any colour, creed or religion but they have two things in common, they are female and they feel abused. Jennie told of the various cases she has encountered during her time with the refuge and of the women who have been helped to break away from their abusive situation. Jennie stressed that the refuge enables women to have a safe place to stay. Meeting others and often forming friendships, which help them to move on and create a new life for themselves, and their children. The members presented Jennie with a box of essential items and treats for her to take back to the refuge. The December meeting will have a seasonal theme, and or Christmas Charity is 'Treats' for our soldiers serving in Iran and Afghanistan. Our next meeting is on Monday 1st December at 7.30pm in Eaton Bray Village Hall. New members and friends are very welcome. Contact Sheila 01525 221185. 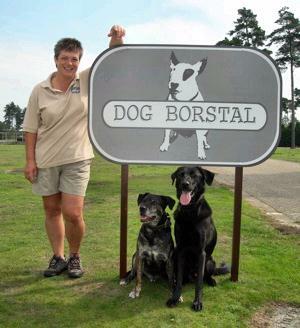 Expert dog trainer Lynne Davies will be making a personal appearance at Totternhoe Memorial Hall on Tuesday 2nd December. Lynne Davies, one of the human stars of BBC Three's Dog Borstal, will be helping to raise money for the Appledown Boarding Kennels in Eaton Bray. One of the many canine concerns Lynne is asked for help with is sheep worrying, and she has been talking to a sheep farmer with a view to helping more dog owners with this problem. Advance tickets are available by telephoning 01582 601987, or to find out about the work that Lynne does, see her website www.lynnedavies.co.uk. This match was evenly balanced with both sides producing some good football but after eight minutes EB Lions went one down and then against the run of play conceded a second just before half time. EB Lions started the second half strongly and after seven minutes Dax Roe put EB Lions back in the game with a well taken goal but despite hitting the post twice and the bar EB Lions couldn't score again and the match ended 1-2. This match could have gone either way but this time EB Lions just missed out. A missed header from Dylan Karavadra in the first minute set the tone for Lions in the first half. Good chances but no goals. Despite the bright start from Lions, St Martins fought back well and went into the break with a two goal lead which could have been worse if not for James Pratt's goaline intervention. Half time changes galvanised Lions who were quickly back in the game with goals from Jack Cook from long range just crossing the line and Archie Bunker bundling in from close range. A number of fine saved from MoM keeper Tom Sage kept the scores level but with fine runs down the right flank from Archie Bunker, Lions looked the more likely. The capacity crowd were rewarded when a long strike from Dylan Karavadra crept under the St Martins keeper. The game was sealed when a cross shot from Jack Cook was forced into the net by Jonny Evans. A fantastic game for the Lions who dominated from the first kick. In the opening minutes the game was all in the Colts' half with at least three good goal scoring opportunities denied by the Colts keeper. Some great runs from Dev and solid tackling from Darcy (setting up three of the four goals), Eden and Katy kept the pressure fully on for the Colts. The two attempts by the Colts to score in the first half were saved confidently by Nancy. 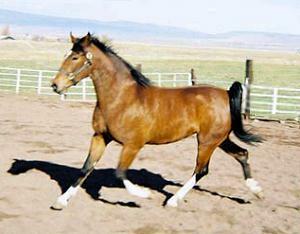 Just one minute before half time Meg scored the first long awaited foal for the Lions. The Lions controlled the game once again in the second half with them scoring quickly again from Meg within the first 3 minutes. A rare opportunity for the Colts gave them a goal narrowly missed by both Katy and Nancy. In the final five minutes the Lions scored two in quick succession, the first from Hattie and the second from Eden which was helped in by the Colts' keeper. Lions earned two corners from Shannon, one resulting in the fourth goal. Beth gave a great performance, tackling hard and winning ball after ball with many scoring opportunities, earning her GoM. Team: Oliver, Thiel, Scott, Ashby, Ferguson, Hudson, Woolsey, French, Viljoen, Kirkwood, Byrne. A horse had to be put down after it was involved in a collision with a car in Eaton Bray on Friday morning. The accident happened around 6am after two horses had escaped from a field in The Comp during the early hours of the morning. The animals had been wandering up and down the High Street, but their bid for freedom came to a sad end when both horses were in a collision with a Peugeot 106. One horse, a 16-hand bay, suffered serious leg injuries and had to be put down at the scene; the other received a small cut to the mouth. Police needed to cordon-off the road near to the junction with The Rye for two hours, to allow a vet to tend to the injured horse. The driver, who reported the accident, was not injured. The Reverend Malcolm Grant, vicar of St Mary's Eaton Bray, has notified the Churchwardens and PCC of his intention to retire from full-time ministry at the end of March 2009, and will be resigning as Vicar of the Parish from that date. 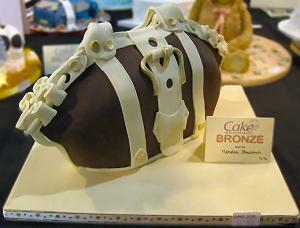 Eaton Bray mum-of-two Michelle Shulman is celebrating winning silver and bonze at the Cake International 2008 show. She entered two cakes in Novelty Cake classes and came home from the NEC, Birmingham, with silver and bronze awards for her handbag creations. Michelle, 30, began baking professionally about three years ago after creating a birthday cake for her daughter: "A friend said 'you could do that for a living', so I decided to have a go. This was the first competition I have entered and I'm over the moon. I was bouncing off the walls with excitement." Michelle is carrying on a family tradition and said she learned her trade from mum Diane and nan Iris. She now runs her own business, Cakes by Shelly, from home, with Diane providing back-up in the kitchen. Diane tells us: "I get paid in cake that I take home for my husband who eats it with custard,"
Michelle said the icing on her career would be to have one of her wedding cakes featured on the pages of OK Magazine. For contact details and to see more of Shelly's work, log onto www.cakesbyshelly.co.uk. What a great match, the conditions were wet and slippery but this did not stop the Lions putting on a great display in this league cup quarter final. After 5 minutes Dax Roe took his chance well to go one up. The Lions were in control of the game, but on 11 minutes against the run of play AFC Luton scored an equaliser. It was only two minutes later that Roe got his second. The Lions continued to dominate the match and then a minute before half time Roe got his third for a great hat trick. After the half time substitutions it was only two minutes before the Lions got their fourth from Jack Quigley and only some good saves from the AFC Luton keeper meant the match ended 4-1 to the Lions. This was a strong team performance in a high tempo match with all the players giving their best. This was another great match for the Lions, a game that they dominated from start to finish. Goalie Nancy Oliver was commanding and kept another clean sheet. In defence Katy Thiel and Eden Scott coped with anything that came their way from Cranfield; the midfield was dominated by Darcy Ashby, Devon Ferguson (who as GoM), Emily Hudson and Bethan Woolsley; up front Hattie French, Megan Viljoen, Elsa Kirkwood and Shannon Byrne always looked dangerous. On 27 minutes French scored for the Lions after a great move by Ashby and Hudson and it was 1-0 at half time. The Lions started the second half strongly and could have gone further ahead many times but it was with two minutes left that Ferguson scored a well deserved second goal and the match finished 2-0 to the Lions. This was a well deserved win over a team that finished runners up last season. Lions were well organised and determined. Team: Oliver, Thiel, Scott, Ashby, Ferguson; Hudson; Woolsey, French, Vjljoen, Kirkwood. The next Parish Council meeting to be held at the Coffee Tavern on Monday 1st December 2008 at 7.30pm. Items for the December agenda to be requested no later than Wednesday 19th November 2008. Many of you who have attended one of St Mary's popular Christmas Eve Candle Services will have witnessed the return to church of our Travelling Crib figures, Mary and Joseph, after they have spent December travelling from one home in the parish to another, symbolising Mary and Joseph's difficult journey from Nazareth to Bethlehem before the birth of Jesus. After a blessing in church on Advent Sunday (on 30 November) they will journey around the parish staying one night in any house that will welcome them. You are encouraged to participate in this activity, which provides an opportunity for a short act of worship during which a candle lit to signify that our travellers have a home for the night. This is often followed by the chance for the two families concerned to share glasses of wine and mince pies if they wish. Eventually the crib figures will be brought back to church on Christmas Eve for this year's 4.15pm Candle Service. We hope that many households will participate in this lovely ritual - participation is not limited to those with young families - many older people take great pleasure from joining in and meeting people from the villages. We do hope that St Mary's Travelling Crib will find a welcome in your house this Christmas. If you would like to have Mary and Joseph in your home for a night, or want more information, please contact Gordon Gray, or sign up on the Travelling Crib Form on the Notice Board in St Mary's Church. Every boy played with conviction and purpose and never allowed St Martin's to get into the game. With only four minutes gone Dax Roe laid the ball back to Karl Shrowder who put the Lions ahead. It was only another three minutes before Jack Quigley got the Lions' second from some good football involving Jack Nevitt and George Oliver. The rest of the first half saw the Lions pushing forward and when they needed some solid defending it was Freddie Mines with Nevitt and Oliver who did it. Goalie Toby Higgs was confident and distributed the ball well. The second half started with more of the same from the Lions, always busy and chasing every ball. After another good move involving Roe and Nevitt it was Quigley who put the ball in the back of the net for his second and the Lions were three up. Then after a quick break Lions were unlucky to concede a goal but it was only five minutes later that Roe got the Lions' fourth goal and the game finished with a well deserved 4-1 win. This was a friendly match where both teams had players away on holiday and against an unknown opposition. Lions travelled to Welwyn Garden City to play to enable both teams to gain more match time. Lions started strongly with two goals in the first eight minutes both from Eden Scott. The rest of the first half was controlled by the Lions with many goal scoring opportunities but the first half ended 2-0. As this was a friendly we made many substitutions and players were tried in different positions. Four minutes into the second half Darcy Ashby scored with a long range shot and then after more pressure GoM Megan Viljoen scored twice in four minutes to make it five. Katy Thiel scored her first goal for the Lions to give the Lions a well deserved 6-0 win. In goal Nancy Oliver had another good match and kept a clean sheet. Team: Oliver, Thiel, Scott, Ashby, Ferguson, Viljoen, Kirkwood, Byrne. You are viewing the November 2008 archive.